Wherever tough or hazardous operating conditions place excessive demands on lifting operations, Profi series air hoists from J D Neuhaus (JDN) rise to the challenge. The JDN Profi range is now deployed in applications that range from chemical (including pharmaceutical, paints and varnish), foundries, and food and beverage, to list but a few. 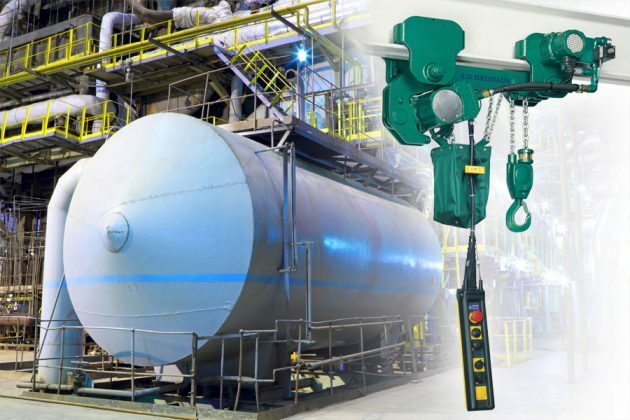 In such industries, the inherent design attributes of Profi hoists are proven that they can perform safe, high-performance and cost-effective lifting and lowering operations. Carrying capacities from 550 lbs to 100 metric tons can be accommodated by Profi series air hoists, with 65 or 85 psi pressure compressed air. As standard, sensitive, infinitely variable speed control allows the precise positioning of loads, a function that is supported by frequent switching and extended duty cycles. 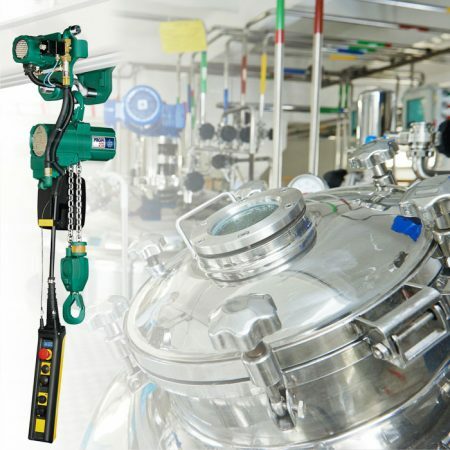 Simple operation, sound absorption and suitability for lube-free operation are among further benefits of these low-headroom, lightweight hoists. In foundries, Profi hoists are also proving their value. Foundry tasks include transporting and discharging ladles with liquid steel, lifting and turning moulds, handling cast parts on shaking grates, and cleaning castings. Users of Profi hoists in these tough operating conditions benefit from insensitivity to high temperatures and dust, as well as high lifting and lowering speeds, and 100 per cent duty cycle.